When planning a visit to Argentine, the first place that comes up on our minds is Buenos Aires, the beautiful capital. 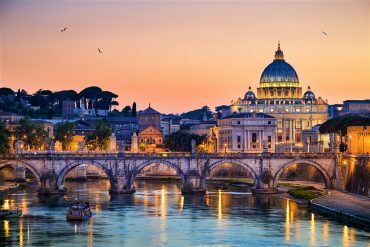 It is definitely an important city and worths a visit. BUT what most people don’t realize is that Argentine has plenty of beautiful places to visit, and thanks to their amazing road system, it is super easy and safe to drive across the country. A road trip in Argentine is a common travel option taken by South American families, that sometimes combine Uruguay, Argentine, and Chile. From deserts to mountains, Argentine offers a variety of landscapes that you can better enjoy from the window of your car, and why I say that? Well, taking a tour or flying directly from city to city doesn’t give you the chance to really appreciate the view. I’m sure you will pass by stunning places that wouldn’t be included in your itinerary if it wasn’t a road trip, this is why, going from Buenos Aires to Ushuaia by car, is the best option to really visit the area. 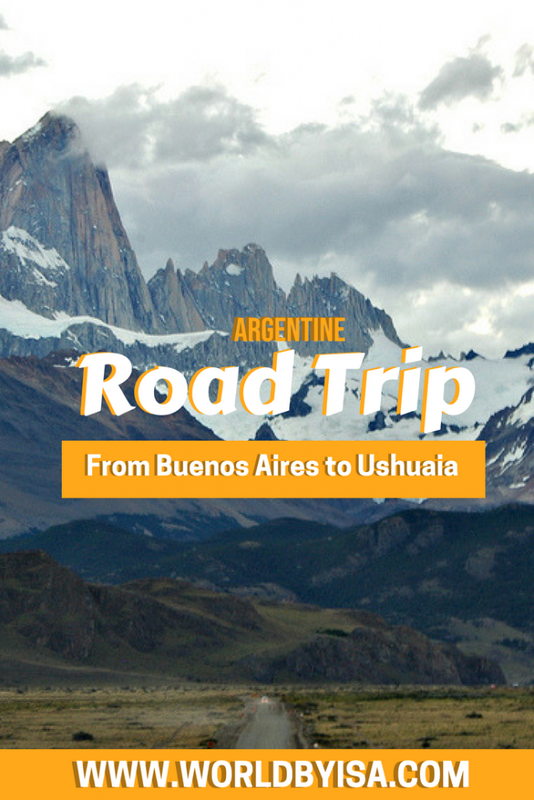 If you are traveling across South America, you can totally make some countries by car, there are many different routes you can take to bring you to different places, but I nice option is to take a road trip through Argentine, from the capital to Ushuaia, one of the most southern cities in the world! If that’s what you are planning, prepare yourself, grab your best coat as it gonna be cold and avoid going during the winter if you don’t want to take risk roads, as it can snow a lot. Bear in mind that if you are going during the winter, you will need a 4×4 car, special tires, and chains to use in your tires. There are many ways to get to Argentine by car, depending on the route you wish to take but for this guide, we gonna take into consideration you are already in Buenos Aires. The Road that links Buenos Aires to Ushuaia is the Ruta n° 3. This route is part of the Panamerican road, and links Ushuaia to Alaska, so that’s a tip for those wishing to cover the whole continent by road! Located on the east coast of Argentine, it is a region with many beaches, however, the water tends to be pretty cold. Puerto Madryn is famous for being one of the best spots to see whales, there are tours that take you close to them, but they can also be seen from the shore. There are many natural parks close to the city where besides whales, you can see penguins, dolphins, and for those who would like to interact a bit more, there are tours that take you to swim with sea lions in the wild. Ushuaia is the capital of Tierra del Fuego, that despite the name, is a flipping cold area, as it is located in Antartica. Due to its location, Ushuaia is known as the southernmost city in the world. There are many activities that can be done here and most of them involve contact with nature. This is an area with many natural parks and ski resorts. The most famous park is the National Park of Tierra del Fuego and is a must for those visiting the city. Another recommendation is to take the cruise through the Beagle Channel. If you love seeing animals in their natural habitat, head to the Isla Martillo, where you will be able to see penguins being penguins. El Calafate hides one of the most famous attractions in Argentine, the Perito Moreno Glacier, located in the Parque Nacional Los Glaciares. The glacier is 60 meters high and can be seen from the viewing platforms or taking a boat tour to come closer. Another way to have a closer view from the glaciers is hiking them, some National Parks offer this possibility. It is important to note that not all glaciers can be hiked. Located really close to El Calafate, is the village of El Chaltén. It is a great stop for those coming back from Ushuaia to Buenos Aires. El Chaltén is famous for its stunning landscapes with mountains and lakes. One of the most famous trekkings in this area is the Mount Fitz Roy, that offers beautiful scenic views, this hike can be done as a day trip from El Chaltén. Another day trip for those who love trekking and beautiful views is the Cerro Torre and Laguna Torre. There is a camp base in the middle of the way, for those who wish to sleep there, but the complete trek can be done in 9 hours. You got a nice website. Lovely article and so informative. Wow, the landscapes are gorgeous! I’d love to see Perito Moreno Glacier, but the entire trip sounds like a must do. This sounds spectacular. We find so many cool things when we drive through new places. Thanks for all the great suggestions for where to stop and what to see!